LSAT Prep - What is the LSAT? Taking the Law School Admission Test (LSAT) is a requirement for people applying to American law schools. It is only given four times a year, and can only be taken at authorized testing centers. In addition to an unscored writing sample, there are five multiple-choice sections on the LSAT test. Two are in Logical Reasoning, one is in Analytical Reasoning, and one is in Reading Comprehension. One section is an unscored experimental section which can be in any of the three categories. Scores range from 120 – 180, with the median always being very close to 150. Doing well on the exam requires strong preparation. 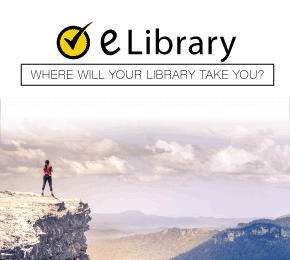 You can use the extensive library of LSAT test prep videos here on Mometrix Academy to make sure you’re ready on test day. Mometrix Academy is a completely free resource provided by Mometrix Test Preparation. If you find benefit from our efforts here, check out our premium quality LSAT study guide to take your studying to the next level. Just click the LSAT study guide link below. Your purchase also helps us make even more great, free content for test-takers. Practicing law centers around creating evidence-based, logical, persuasive arguments. The Law School Admission Test, or LSAT, seeks to test those skills most valuable to future lawyers: reading comprehension, logical reasoning, and analytical thinking. What Does the LSAT Look Like? The LSAT is a timed test consisting of five 35 minute multiple choice sections and an unscored writing prompt. Two portions of logical reasoning questions, one analytical reasoning section, and a reading comprehension component make up four of the test parts. The fifth may be from any category. One of the five sections is a field test and does not count toward the test taker’s score. Instead, it is composed of experimental test questions being tried for future testing. The test components are not in any order, so students can’t be certain which portion of the test isn’t counted. The LSAT board also does not score the writing portion of the exam; however, test takers should put forth their very best efforts. Law schools include the writing test as part of their acceptance criteria and expect candidates to possess exceptional written communication skills. Often, the most difficult part of taking this exam is the time restraints. Beyond practicing for the major content areas of the test, students have to adjust to working within the time allotted for each section. Getting bogged down with one question can cause the last few to go unanswered. Time management is the key to progressing through each part successfully. 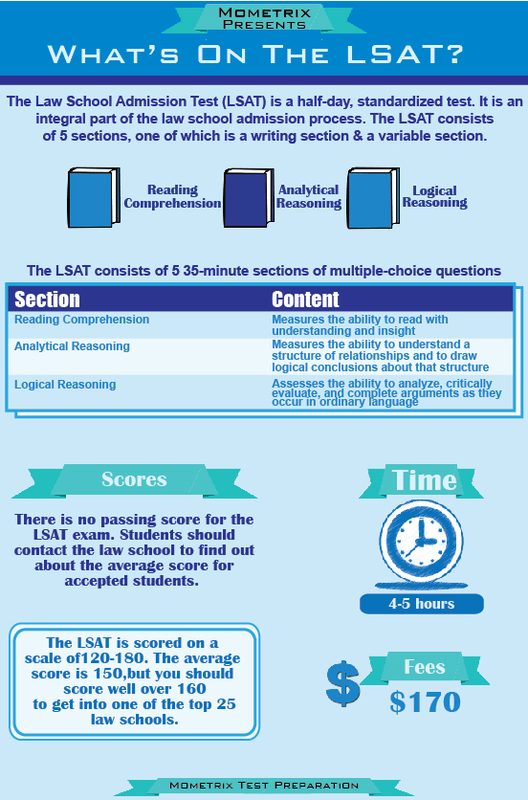 What is on the LSAT exam? The LSAT exam consists of 5 sections: Logical Reasoning, Analytical Reasoning, Reading Comprehension, Variable, and a Writing Sample. What is a good score for the LSAT test? The LSAT test is scored on a scale of 120 to 180, with the average score being about 150. If you’re looking to be accepted into one of the top 25 law schools, you will need to have a score above 160. Is the LSAT really that hard? The LSAT exam is hard. It takes months to become prepared for the LSAT. The exam requires you to use logic for questions that can be confusing to grasp. The LSAT exam is also timed, which puts even more pressure on you. How much does it cost to sit for the LSAT? To sit for the LSAT exam, there is a registration fee of $190. This includes sitting for the LSAT and one free score report. How many times can you retake the LSAT? If you fail the LSAT and wish to retake the exam, there is not a limitation on the number of times that you can retake it. What kind of questions do they ask on the LSAT? There are five sections of multiple-choice questions on the LSAT. Is a 160 a good score on practice LSAT? Yes, a 160 is a good score on the LSAT. The LSAT exam is scored on a scale from 120 to 180. The average score for the LSAT is 150. To get into one of the top 25 law schools, you will need a score of 160 or higher. What LSAT score do you need for Harvard? Harvard accepts a small percentage of applicants to their law school. If you want to be accepted into Harvard, you will need an LSAT score of 170 or higher. The LSAT exam is timed. There are five sections on the exam and each section is timed for 35 minutes. How long can you use your LSAT score? Your LSAT score will remain on file for five years after you take the test. If you take the test more than once, each score will be saved as well. How long does it take to get LSAT test results back? The fastest and easiest way to get your LSAT results is to have an account with LSAC.org. Your results will be available usually within three weeks after you take the exam. Do most law schools take the highest LSAT score? Taking the LSAT exam more than once means that you’ll have more than one score. While it seems that many law schools will take the average score of your LSAT exams, most law schools actually consider your highest LSAT score when it comes to admissions. What is a competitive LSAT score? The average score for the LSAT is 150 which will put you into the 50th percentile. A score that is considered to be competitive for the LSAT is anything ranging from 152 to 158 which will put you in the 25th percentile. How do you prepare for the LSAT? The best way to prepare for the LSAT exam is to spend 4 to 6 hours a week for at least three to four months before your test date by reading and studying your LSAT study guide and taking LSAT practice questions. What is the average LSAT score for Harvard Law School? The average score for the LSAT to be admitted into Harvard Law School you will need to have at least a 170 which is the 25th percentile. What is a bad score on the LSAT? The LSAT exam is score on a scale ranging from 120 to 180. The average score for the LSAT is 150. The top 25 law schools accept score 170 or higher. If your LSAT score is lower than 150, you may find it difficult to be accepted into most law schools. What do I need to bring to the LSAT? On the day that you’re sitting for the LSAT exam, there are several things that you need to remember to bring with you: Photo ID, No. 2 pencils with erasers, an acceptable calculator with extra batteries, and an analog watch. The LSAT exam consists of four sections. Each section is 35 minutes long and consists of multiple-choice questions. The four sections include two Logical Reasoning sections, an Analytical Reasoning section and a Reading Comprehension section. To become a law student, you must enjoy considerable amounts of reading. Lawyers spend countless hours poring over lengthy documents, and law schools want to be certain their students possess the ability to read and comprehend various types of expository texts. Schools expect candidates to be able to make sense of unfamiliar and difficult information similar to what is found in cases, briefs, codes, contracts, decisions, and evidence. This type of reading is often laborious and challenging, to say the least. Similar to other standardized reading tests taken previously in a student’s academic career (the SAT, etc…), the LSAT focuses on the tester’s aptitude for taking in information and processing it. Students should be able to draw logical conclusions based on textual evidence, make valid predictions, use context clues to derive the meaning of uncommon words, determine author’s purpose and assess for author’s bias, compare relationships between pieces of information, and pinpoint the main idea of a piece of writing. Basically, this portion assesses a reader’s ability to process new information and tap into their prior knowledge to assist them in comprehending the material. This portion of the LSAT exam assesses how well a student analyzes information and the ability to use textual evidence to support his interpretations. Law schools want to know if the test taker can understand the relationships between pieces of data and draw logical conclusions to those events. Questions are most often formed in an “if-then” format. Students are given both literary and expository texts to practice making inferences and using both inductive and deductive reasoning skills based on a set of conditions in a given situation. These passages are usually unrelated to law in order to measure the abilities of students from a variety of backgrounds. For each passage, there are several questions. In some, students must read and compose solutions to given problems. In others, they may be asked to understand conditional reasoning and be able to make logical comparisons. Lawyers need to be able to apply rules and facts from past cases to new situations. Students must show their capacity to evaluate unfamiliar circumstances and apply rules and facts from prior events. Questions are expected to be answered using logic, reasoning, and knowledge of the average college student. Now we get to the fun part for all the debate-loving students out there. Law students need to possess the ability to analyze, evaluate, construct, and contradict arguments. In court, this is the lawyer’s entire purpose. This section presents an array of arguments from an assortment of sources such as magazines, newspapers, professional journals, advertisements, and informal debates. While similar to legal arguments, these passages do not focus on matters of law. Students should be able to deconstruct the argument into its parts and recognize how those parts work together. Understanding how to look for patterns and find supportive textual evidence helps students to create their own plausible outcomes to given events. A lawyer’s success centers on the capacity to build a convincing argument based on the evidence available, as well as tearing down opposing viewpoints. These questions assess a student’s capability of disproving example theories and replacing them with rational conclusions of their own. How well can you get your thoughts across on paper? Created by professionals in the legal field, the writing sample offers students the chance to demonstrate their ability to construct a credible argument given a set of facts and conditions. The prompt contains a decision problem in which the writer must choose a position and support it using evidence while criticizing the opposing viewpoint. There is not a correct answer to the problem. Students must pick a side and convince the reader to agree with that position. Writers are assessed for the clarity of their reasoning and actual writing mechanics. This is also a timed section, giving test-takers 35 minutes to plan and write their essay. Many schools use this as a diagnostic tool to measure a candidate’s analytical abilities, as well as the strength of their written communication. While it is not given a numbered score, it can make the difference between acceptance and rejection to the school of choice. So how does one go about preparing for the LSAT exam? This is not a test of academic skill. Instead, it tests how well you apply your academic skills to different forms of materials. Mometrix Test Preparation provides opportunities to practice the skills necessary for being successful while giving tips and tricks for test-taking that eliminate repetitive, unproductive studying. If all it took to pass the LSAT was a good understanding of the material, the task at hand would not be so difficult. However, test-takers need to have a firm grasp of the test’s structure and take sample LSAT questions in order to master the exam. The Mometrix LSAT Study Guide walks students through a variety of testing strategies that can be applied as they approach each section of the test. From timing to deconstructing questions to find clues to the answer, this guide proves invaluable to anyone wanting to earn the best score possible on the exam. To further prepare examinees, Mometrix has created an online review course that addresses the specific reading comprehension skills needed when attacking that portion of the test. The hour-long video offers instruction on bias and stereotype, fact and opinion, using context clues to determine meaning, finding textual evidence to support answers, determining author’s purpose, drawing logical conclusions, and several other vital competencies necessary to success. In an easy to understand refresher course that can be played and replayed at the viewer’s convenience, Mometrix provides definitions and examples of each type of comprehension skill. Mometrix also boasts an online review of analytical reasoning skills. Like the reading comprehension video, this 51 minute course gives examples and situations similar to those given on the test. Watching will give students a better understanding of context clues, inductive and deductive reasoning, how to draw logical conclusions, using textual evidence to support their point-of-view, and making rational predictions. Because these videos give simple explanations and understandable definitions for the terms in use, students will find them easy to follow and highly useful in their test preparation. To increase the retention of important concepts and cut down on wasted study time, Mometrix has also created the LSAT Flash Card Set. This heavy-duty, conveniently portable kit puts the hundreds of possible test question topics right in your pocket. With in-depth explanations that include all major areas of the test, this kit allows you to study anywhere at any time. Even if your friends aren’t familiar with legal terms, they can still read your flashcards and assist you when you’re practicing for the test. These cards help in breaking questions down in to smaller, easier to understand parts. Once a question is deconstructed, it becomes simple to address each part and solve the problem presented. And because repetition promotes learning, the cards take an enormous amount of information and condense it into a fun, memorable game that uses study time most efficiently. The LSAT is not a pass or fail exam. Tests are scored between 120 and 180, with 150 being the average. Law schools each set their own criteria for selecting candidates for admission. The accepted score varies from institution to institution, but a score above 160 is usually enough to be accepted by any of the top university law schools in the United States. Here is also where the unscored writing portion of the test becomes important. 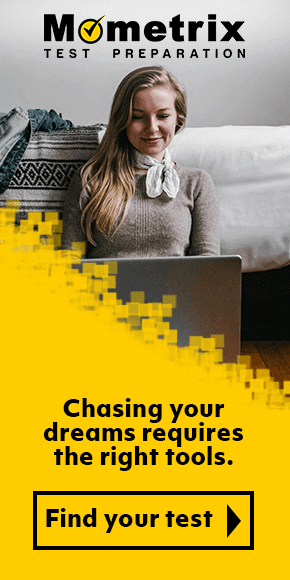 A well thought out, convincingly written essay can be the push a student needs to make it on to the admissions list of the university of their choice. On the contrary, a prompt that isn’t taken seriously or shown a high level of effort may be enough to pull you out of the ranks of accepted students. The LSAT exam is administered four times a year in the United States and Canada. It is also given in New Zealand, Australia, Europe, Africa, the Middle East, Asia, South America, Central America, and Mexico. Regular test sites have been established in each area and have a limited number of seats available for each administration. For students living more than 100 miles away from any established testing center, a request can be made to create a nonpublished test center. This carries hefty fees of $270 for domestic sites and $360 for international centers. Upon admittance to the exam, testers must provide their unsigned LSAT ticket with passport photo, a government issued form of identification with picture, and enough pencils with erasers to complete the exam. Most examinees use the LSAC’s CAS, or Credential Assembly Service, and pay their $170 fee. This service requires you to send all testing documentation to the LSAC only once, and the CAS will transmit copies to the law schools with which you wish to apply. If the CAS is not used, the fee is $175. Be aware that late registration, the change of testing date, or altering the testing venue will incur additional charges of $90 each. The LSAC does offer a fee waiver in cases of extreme need, with very stringent requirements. The candidate must be from the United States, Canada, or Australia. Students must send their application for the waiver, along with tax records proving inability to pay, at least six weeks before their testing date. Those who have already applied to law school are not eligible. After registering for the exam, students with documented disabilities can complete an Accommodations Request Packet in order to receive necessary assistance. The LSAC board will make a decision at least fourteen days before the testing date and will send confirmation of the accommodations to the test center supervisor prior to the exam. Applying to law school is a big deal, and there are many components you need to stay aware of. If you plan to apply to law school in the fall, you will need to have taken the LSAT by December in order to have your scores ready to be sent to admission boards. It is recommended, however, that you test in June or July to be certain. Students using a CAS account can expect to be able to retrieve scores three weeks after administration. Those without an account will get scores in about four weeks. Using Mometrix Study Guides to achieve your best score becomes more important when an examinee may not sit for the LSAT more than three times within a two year period. Using Mometrix Test Prep products helps you get it right the first time! Our customers love the tutorial videos from Mometrix Academy that we have incorporated into our LSAT study guide. The LSAT study guide reviews below are examples of customer experiences. I would definitely recommend any test taker to use this book as a tool and as a study guide to master the LSAT test regardless if the person took the test. It helps in regards to understanding the basics and very self explanatory. Most importantly, this book provides great study techniques, strategies and explanations to why a particular answer is correct, identifies each question and finding ways to help a test taker overcome trap answers and challenges. It has helped me a lot to get a better understanding of the test is going to be about and how I can take it by understanding the test. Although I still have a couple of months before I take the test I can say that this study guide has helped me and it will continue to help me since I plan on reading it again. This was the first book I got to start my LSAT preparations and it was perfect. I didn’t know much about the exam itself; I was unaware of the format and grading criteria and this book described it all. I love how it explained he different types of questions and provided explanations for answers. The book is thorough and intelligent, and is very helpful in understanding the structure and goals of the LSAT questions and test. Excellent narrative analysis, particularly in the preparatory sections for each of the five sections of the LSAT, along with preliminary suggestions as to how to maximize performance. Extremely helpful and a guaranteed paradigm shift for the way I see examinations. Easy to read. Broke the games down to easy to understand terms. It wasn’t as confusing as some of the other books I have purchased. The book provided valuable information about the best study habits and helped me have better confidence about taking the exam.